Wizards turned down a Torment sequel, but can still license the IP. When Brian Fargo, one of the minds behind Planescape: Torment, approached Wizards of the Coast about making a sequel, the RPG giant turned him down. The Torment sequel is still happening in the form of a spiritual successor, but speculation ran rampant that Wizards simply had no interest in licensing the unusual Planescape setting from Dungeons & Dragons. According to Wizards, however, it's completely willing to grant developers the right to explore the City of Doors and its surrounding planes, provided that the proposal sounds great. "We would absolutely consider licensing out Planescape, or any of our other great D&D IPs, if we were approached with a proposal," says a representative for Wizards of the Coast. "We often get proposals and are actively pursuing opportunities to make great digital D&D experiences." The representative did not know exactly why Wizards declined Fargo's pitch, but explained that there may have been some confusion regarding previous licensing peccadilloes. "Brian [Fargo] suggested Baldur's Gate 3 had proven difficult in the past before we regained our digital rights, so, that probably didn't help the situation." 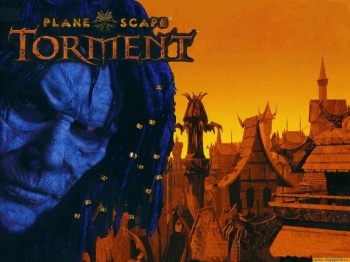 Colin McComb, another Planescape: Torment developer, contacted Wizards about a Planescape: Torment sequel with similar results. "I'm certain that there was discussion on the subject directly but it sounds like there is some internal miscommunication there," he reasons. Instead of Planescape, the Torment sequel will take place in the original sci-fi world of Numenera, linked by thematic elements rather than setting or story. It's good to know that another Planescape game could emerge someday, but one must wonder what kind of pitch Wizards is waiting for. Planescape: Torment is one of the most popular properties attached to the setting. If a sequel isn't a good enough reason to bring the IP out of hibernation, what will be?